Today is the last day of our Christmas in July Celebration. 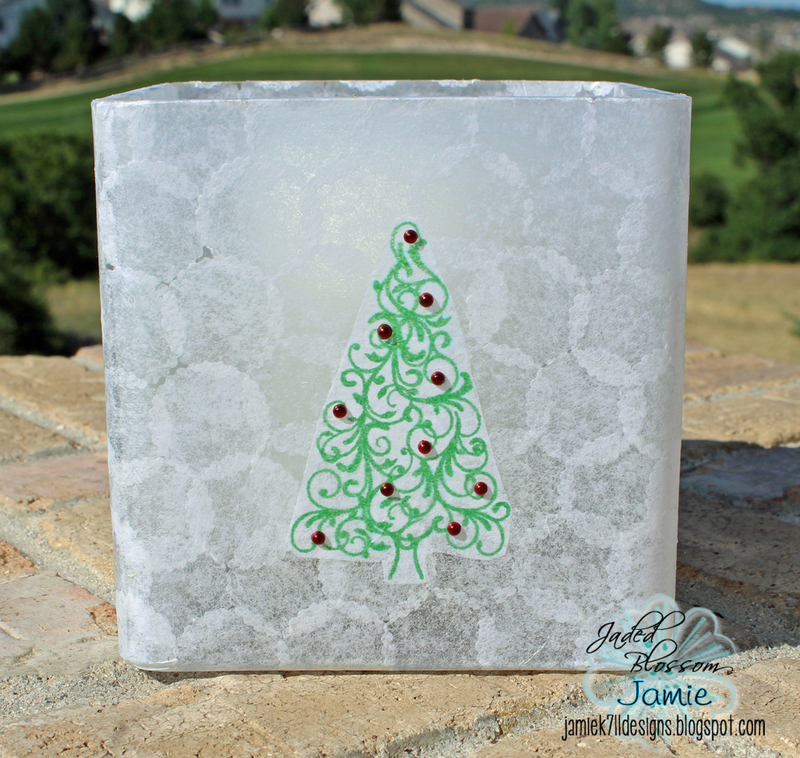 So that means one last Christmas project and one last day to purchase Christmas stamps on SALE! I had this glass vase laying around and thought I could make a cute candle holder with it. 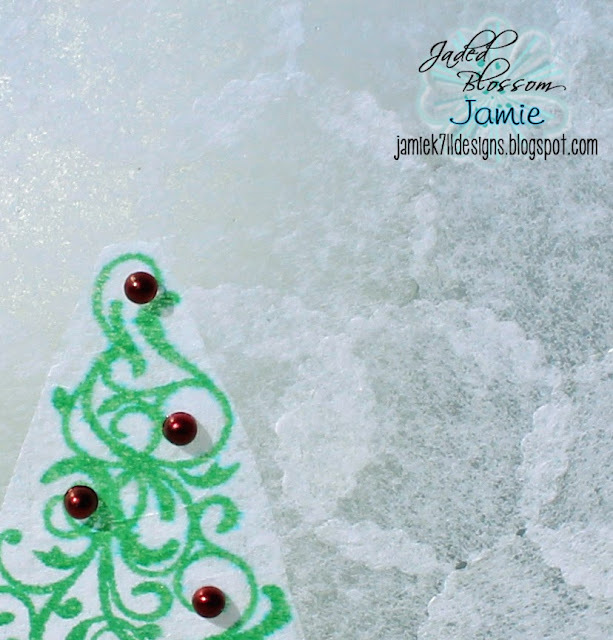 I used the tree from Christmas Wishes and stamped it on white tissue paper. Then I added some red pearls on top of the tree. Here's a close up, I used one of the candy dies to cut tons of circles from tissue paper. I used Modge Podge to glue all the circles on the vase and then I glued the tree on as well. Don't forget that today is the LAST day to get all the Christmas Stamps on sale. They are all back in stock as of last night!!!! You can find them all HERE. Very cool! 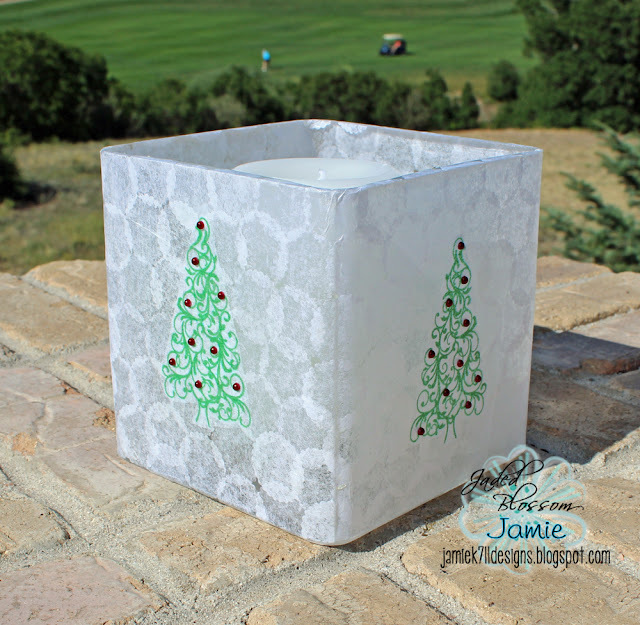 What a fun Home Decor idea for the upcoming holidays! Love the tree stamp:) TFS!